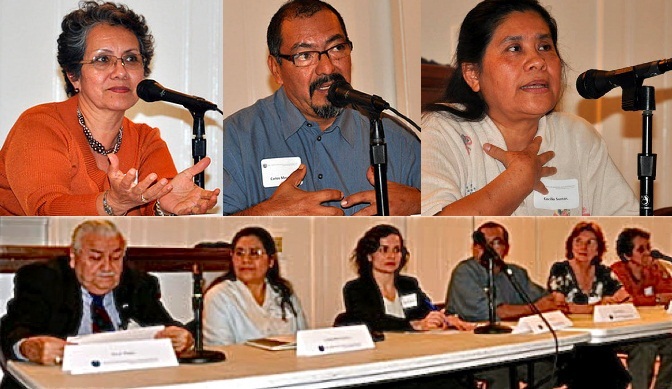 On October 27 in San Francisco, the Center for Justice & Accountability will be will be hosting a panel discussion featuring CJA clients from all around the world who will talk about their experiences of being part of international justice efforts. They will offer their perspectives as survivors of torture, crimes against humanity and other abuses as well as their role as plaintiffs in lawsuits against high level human rights abusers. The forum has been organized at the initiative of the clients and other survivors who will share experiences in their struggle against impunity. There will be a short reception before the panel discussion where appetizers and drinks will be served. Please RSVP and direct any questions to Maria DeGaetano.